Looking for pretty binder supplies? 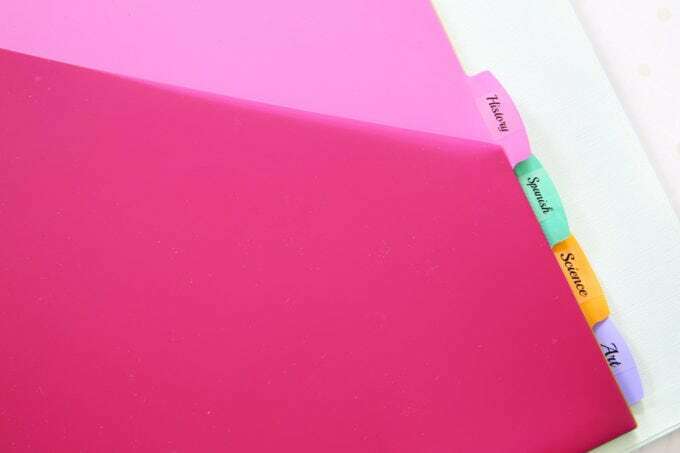 I’m sharing my favorite 3 ring binders, tabbed dividers, and accessories that help me stay organized! For as long as I can remember, I have been organizing information. Making lists. Taking notes. Doodling pictures to help me remember things. Planning and over-planning and planning some more. There was just always something about putting pen (or pencil) to paper that helped me feel like I could conquer anything. As I got older, I found myself starting to organize information for other people too. I would make worksheets and notes pages for my students when I was a teacher. I would make handouts and newsletters for the other moms in my MOPS group. 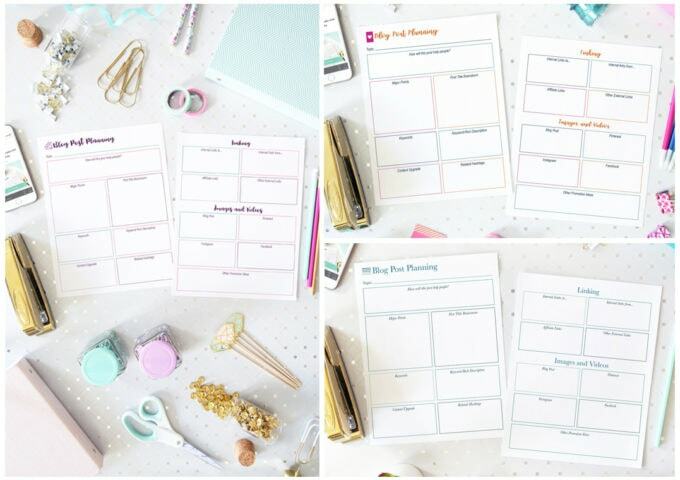 And when I started this blog, I started sharing my love of organizing information here in the form of organizational printables. I was blown away. Who knew that my propensity for random doodling and incessant note taking would actually become an outlet to help others one day?! I have gotten more and more requests for printables of every type over the years, so recently Donnie and I sat down and decided to make it “a thing.” We came up with the idea for Abby Organizes: The Shop in hopes that by sharing our love of organizing information, we could help others organize their homes, families, businesses, schoolwork, and lives. We’ve seen in our own lives how having the right organizational tools can help us set and reach our biggest goals, create more time that we can spend as a family, solidify routines that keep our household running smoothly, and develop healthy habits that can improve just about every area of our life. Our hope is that by equipping others with our organizing printables, we will be able to– in some small way– help them to do those things as well. Over in the shop, we have deluxe printable binders that offer more pages and more designs than we’ve ever shared on the blog. 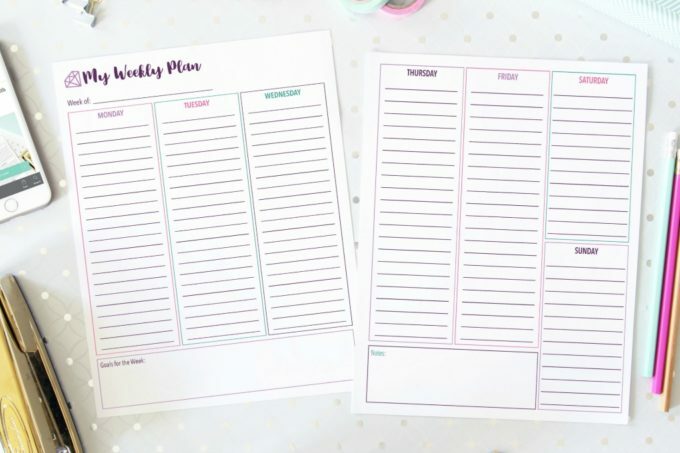 Or if you’re looking for one specific printable, we now offer the printable pages individually too! 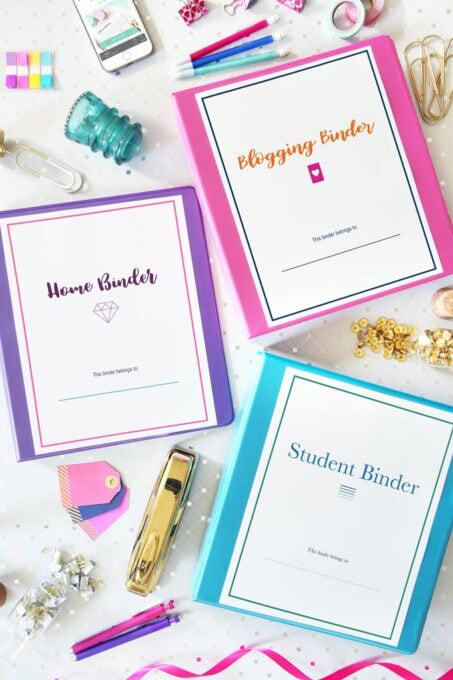 Every binder listing and individual listing includes THREE different styles of printable so you can change it up based on your project or mood. 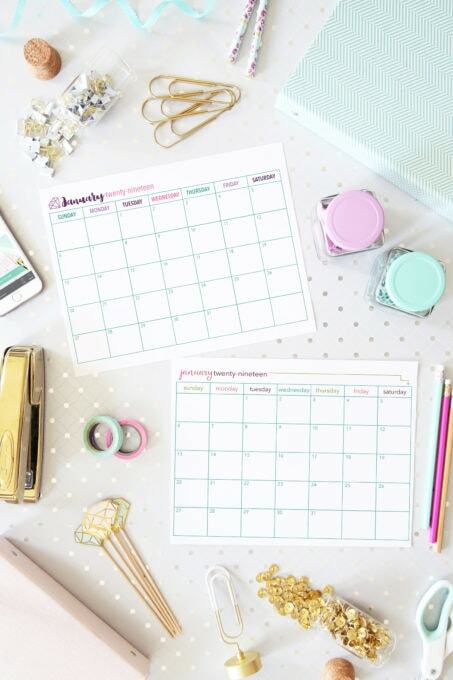 And since we know that monthly calendars are one of the most helpful planning tools you can use, we have a whole bunch of those too. 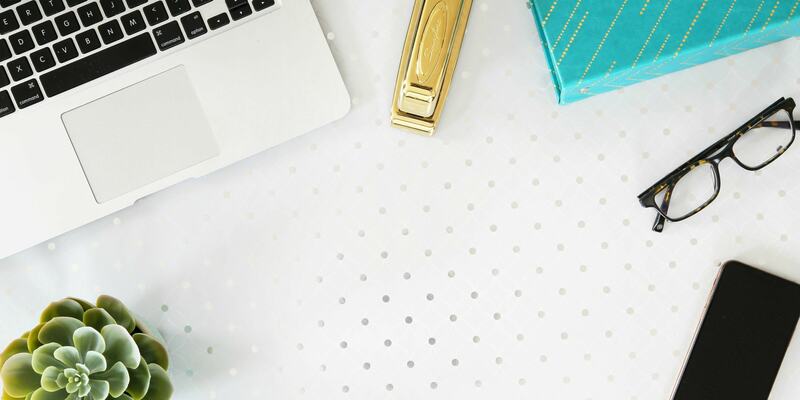 At their core, printables are a pretty simple thing, but Donnie and I have spent the last several months creating them, photographing them, setting up the shop, and getting everything organized so that everyone who visits can find exactly what they need. 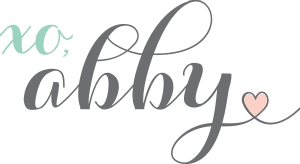 We would be so honored if you would pop over and take a peek at the shop here! 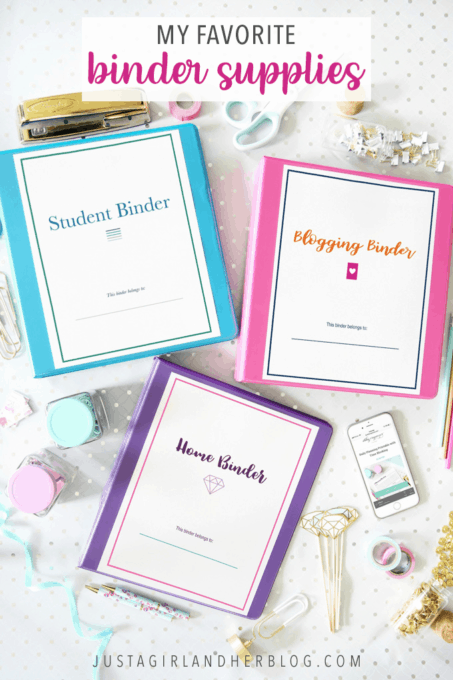 Since my most favorite way to organize my printables is in a binder, I thought I’d celebrate the opening of the shop by sharing some of my most favorite binder supplies in case you’re looking for a pretty way to house your printables as well! When I first started getting into printables, I thought it would be no problem to find pretty binders to hold them. Turns out, it was harder than I thought! Boring binders? Those are easy to find. But ones that are beautiful and have a bit of personality? That is more of a challenge. 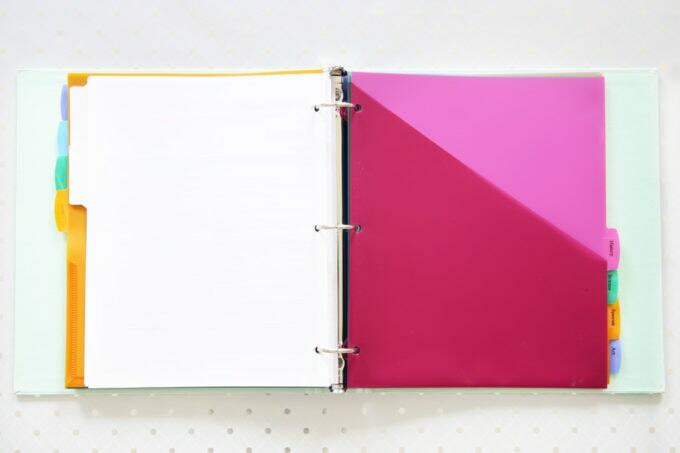 Once I have my 3 ring binder, I like to use tabbed dividers to separate the sections and keep them a little more organized. For more complicated projects, I will often go with dividers that have a pocket on them so I can also keep track of miscellaneous items that I don’t want to hole punch. For simpler projects, dividers without pockets take up less space and still help keep my binder sections neat and tidy. I have this printer. 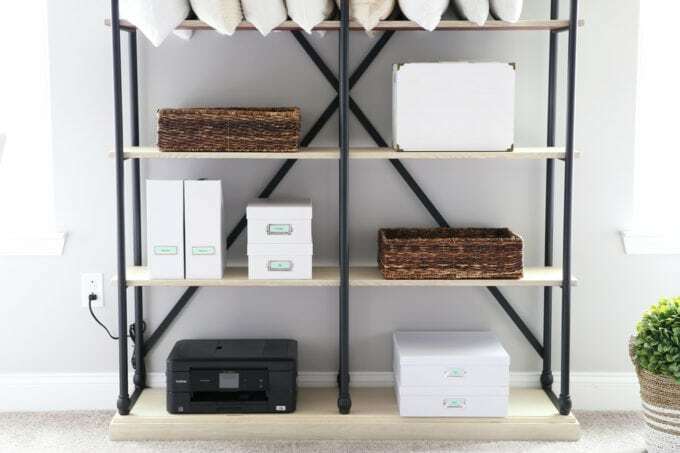 I like it because it is small and doesn’t take up much space in my office, and it has always printed my printables clearly and with sharp colors. It is also wireless and can print double-sided, both of which are really helpful! I also use a few different hole punches. I like this heavy duty 3 hole punch for binders because I can punch a bunch of pages at once. This lighter duty one is great too; it also has adjustable feet so you can change the settings if you’re using a mini binder or non-standard ringed binder. So those are my favorite binder supplies! Thank you so much for celebrating the launch of our shop with us! If you’d like to submit an idea for future printables to be added, you can do that here— we’d love to hear from you!